Selecting the right wedding entertainment is one of the most important decisions you will have to make for your forthcoming wedding, it can easily make or break the night. It is also one thing that your guests will remember the most, as they will certainly remember if they had a good time or not. * 80% of couples who booked their wedding band to also do the disco said that they regretted it as there was no increase in atmosphere as a lot of bands just use a playlist while other members packed away the equipment. * 72% of Brides say they would have made the entertainment their #1 priority when polled after their wedding day. * Entertainment on average is 4% o 8% of the budget, but accounts for 80% of the success of the evening. * 100% say they would have spent more of the budget on the entertainment. * 81% of guests and families say the thing they remember most about a wedding is the entertainment. * 95% of brides polled after their reception regretted choosing a budget DJ or family friend and wish they had gone with an experienced, established professional. These statistics were published in Bride & Groom Magazine in 2003. Sources include: Simmons, 2001; National Bridal Service, 2001; The Knot, 2002; Brides Magazine, 2001. Why settle for less? After all, you have probably spent thousands to create your special, once in a lifetime day,.…on your dress, on the flowers, on the catering, on the photographer, on a videographer, car hire and cake. You have invited your family and friends to a huge celebration of your new marriage showing your love for each other, and run the risk of ruining the whole night by not booking a professional DJ. With venues, menus, photographers and flowers to choose, and the overwhelming costs of weddings, the do-it-yourself option can suddenly appear very appealing. One of the latest trends in the DIY wedding planning is the DJ. With some opting for an iPod wedding, some having the band to double over as the DJ or having a family member who is a “bit of a DJ” taking on the role. Great money saving idea?? This involves couples choosing to skip the DJ or live band altogether, instead opting to run the music themselves. Great idea – after all, your laptop isn’t going to demand money, and you’re guaranteed to hear all your favourite songs.It’s as easy as clicking a button. Sounds like a winner, right? How big are your computer speakers? Big enough to fill a room with over 150 people? For the music to be at a reasonable level throughout the room, you’ll require at least two 400 watt speakers, paired with a mixer. Not only that, but microphones are also needed for requests and announcements and shouting on your wedding day doesn’t make for a great look. An iPod can’t read the crowd! An experienced wedding DJ can pick up on what your guests want to hear and adjust their set accordingly. What if your guests want requests? Who is going to operate the iPod and be responsible for it on the night?? Many bands now offer a disco as a cheap add on, which in some cases involves the drummer turning into the DJ, very convenient for the band, but not exactly giving the most important day of your life the finale it deserves! So ask yourself: would you prefer a tired drummer operating a laptop while the other band members load the van or a professional experienced wedding DJ, who knows how to fill the dance floor and interact with your wedding guests. After all, would you ask the chef to come out and be the DJ after he finishes his shift in the kitchen Band as the DJ : Many bands now offer a disco as a cheap add on, which in some cases involves the drummer turning into the DJ, very convenient for the band, but not exactly giving the most important day of your life the finale it deserves! So ask yourself: would you prefer a tired drummer operating a laptop while the other band members load the van or a professional experienced wedding DJ, who knows how to fill the dance floor and interact with your wedding guests. After all, would you ask the chef to come out and be the DJ after he finishes his shift in the kitchen. Is your family member a professional DJ or is he or she simply someone who “has a lot of music” on their computer with little or no experience as a professional wedding DJ. If they are the latter, you could be headed for a real problem on your wedding day. What if they decide they want to get involved in the party and abandon their DJ Role! Will they know how to interact with the crowd? Will the family member just stand there and not make any requests or announcements on the microphone? What if they say vulgar and obscene things on the microphone. Will they know how to read a crowd and continually keep the dance-floor full all night? Could they solve any technical sound problems if something happens? Going down the DIY route can be tempting and can save you money but this can backfire and leave youfeeling disappointed with the finale of your Wedding Day. 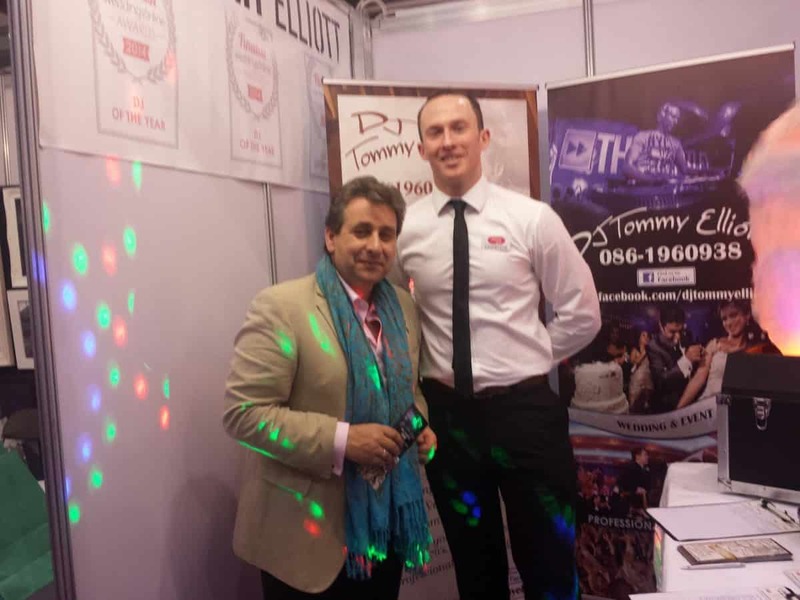 So why not the professional Wedding DJ Tommy Elliott for your Wedding Disco.